Coffee shop Sip and Savor joins a growing number of Hyde Park small businesses that are turning to crowdfunding to raise capital. Owner Trez Pugh III has launched a campaign with start-up LendSquare to raise $25,000 in loans directly from community investors by March 1. Pugh, who operates a location at East 51st Street and Lake Shore Drive and another at East 53rd Street and South Hyde Park Boulevard, has plans for a multi-pronged expansion, ranging from building a sidewalk café, adding an espresso machine, and reopening his coffee shop in Bronzeville. Sebastian Villarreal (A.B. ’09) co-founded LendSquare with Jose Valdes in 2012 to help small businesses like Sip and Savor expand with help from the community. Businesses post their campaign goal, which can be up to $300,000, and the time period during which their campaign will run on the website. Customers can then pledge a loan amount and select at what interest rate they are willing to lend the money. At the end of the campaign, the highest return at which the business achieves its goal is selected and the loans of investors who bid at that rate or lower are approved. The investments will be paid back at the selected interest rate on a monthly basis over a fixed time period. Z&H Café, Open Produce, and the Fair Trader were the first businesses to use LendSquare, while it was in its prototype phase. “LendSquare allows customers to invest in something they believe in and think will be beneficial to the community, especially if you’re already investing by coming in and buying my product. I think it’s a win-win,” Pugh said. Pugh entered the coffee shop business “almost by mistake.” He was originally in real estate when a childhood friend asked to rent out one of Pugh’s spaces to open a coffee shop in Bronzeville and later approached Pugh to become a business partner. Pugh has since opened two locations in Hyde Park, one on East 51st Street in 2009 and one on East 53rd Street in 2012. While he closed the Bronzeville location in 2011, Pugh plans to reopen it in the next three months using some of the money from the LendSquare campaign. Pugh anticipates spending his own capital to cover expenses that necessarily accompany expansion, but notes that the $25,000 from the LendSquare campaign will be a significant help. So far, Sip and Savor has raised $8,220, 32 percent of its goal. Small business owners say that the aftermath of the 2008 economic crisis made it difficult for banks to lend to them because of the riskiness of the ventures. 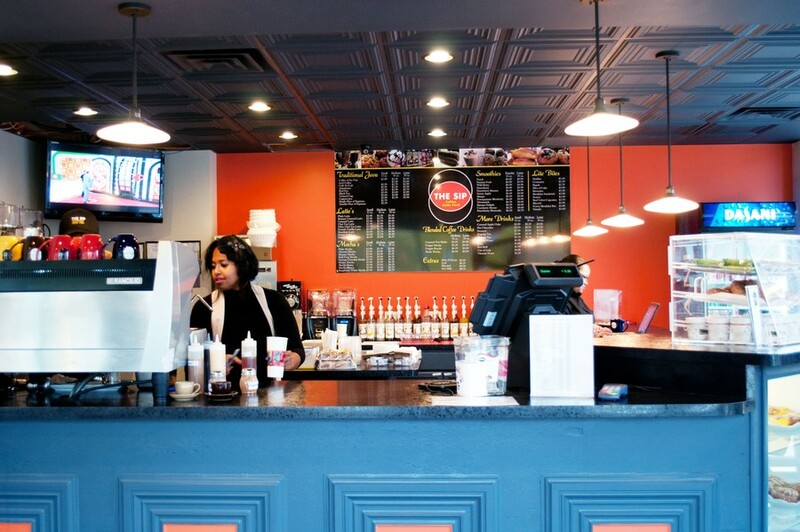 “Getting money requires having money,” Z&H Café shopkeeper Sam Darrigrand said. Darrigrand raised $18,500 through a two-week LendSquare campaign in 2011 during the start-up’s prototype phase. The money helped reduce the high-interest debt he had accrued after opening Z&H’s East 57th Street location in August 2010. Z&H is currently halfway through paying off the two-year loan. “As long as crowdfunding is a better option than banks or credit cards, crowdfunding will continue to grow in popularity. Small businesses need the money in the end,” said second-year Darek Blachowicz, who worked with the startup in the fall. Both Darrigrand and Pugh would consider using LendSquare again in the future. “If [banks] aren’t willing to give me the money, then I have to find alternatives because I am not willing to cut costs,” Pugh said.